One of the biggest names in tobacco — Altria — is taking a large stake in Juul, the biggest name in vaping. Altria announced on Thursday that it was taking a 35 percent stake in Juul and planned to aggressively help promote the e-cigarette brand. Both companies said their aim was to create a giant to help smokers move to safer products. But anti-tobacco activists say they do not trust the deal, and at least one antitrust expert with experience fighting tobacco companies said the arrangement smelled funny to him. “Big Tobacco just got bigger, and products like Juul have addicted a new generation putting nicotine in every classroom across America,” said Robin Koval, CEO & President of the Truth Initiative, set up to counter decades of tobacco industry marketing. Altria is the parent company for Philip Morris USA, maker of the some of the biggest names in cigarettes, including Marlboro, L&M and Virginia Slims. Juul has enjoyed explosive growth and now dominates the e-cigarette market. “The announcement that Altria is buying a 35 percent stake in Juul is a truly alarming development for public health and brings together the two companies that have been the most successful in marketing their highly addictive products to kids,” said Matthew Myers, president of the Campaign for Tobacco-Free Kids. “This investment gives the tobacco industry direct access to a new pipeline of millions of youth e-cigarette users, most of whom were not smokers in the first place,” added Koval. “Altria will apply its logistics and distribution experience to help Juul expand its reach and efficiency and Juul will have the option to be supported by Altria’s sales organization, which covers approximately 230,000 retail locations,” it added. Perhaps most worrying to the anti-tobacco advocates, the agreement includes plans for Altria to throw its considerable legal and regulatory expertise into negotiations with the Food and Drug Administration as it tries to regulate tobacco products, including e-cigarettes. “This suddenly gives Juul an 800-pound gorilla to fight against the FDA,” said David Balto, former assistant director of policy at the Federal Trade Commission and now an antitrust lawyer in Washington. The new super-company will also have more expertise to negotiate with other regulators, also. “This is a really crucial antitrust case. It is going to test the mettle of the FTC.” Balto said. 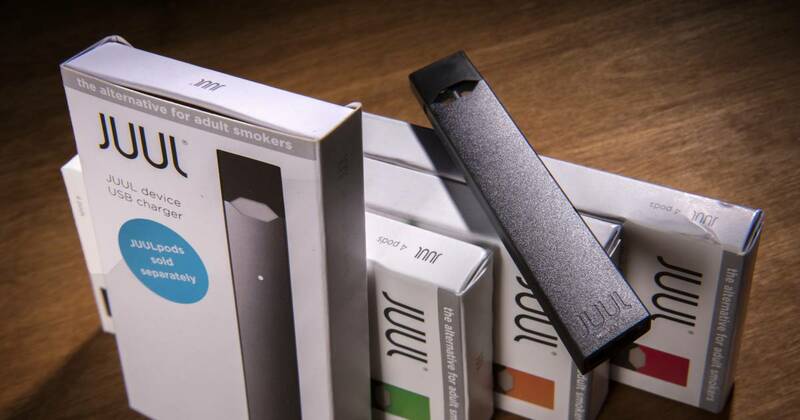 The $12.8 billion deal gives Altria 35 percent of Juul’s shares. They cannot be converted to voting shares without federal approval. Altria CEO Howard Willard said the partnership will benefit smokers. The company has said it wants to help smokers move to safer products, and is also developing a type of cigarette that uses warmed tobacco and that the company says delivers fewer toxins. “We have long said that providing adult smokers with superior, satisfying products with the potential to reduce harm is the best way to achieve tobacco harm reduction. Through Juul, we are making the biggest investment in our history toward that goal,” Willard said in a statement. “Altria has no interest in reducing the number of people who smoke cigarettes. They see Juul as their failsafe in case the cigarette market keeps declining so that they remain profitable no matter what happens,” he said. Balto agrees. “You have to be tremendously concerned when a monopolist acquires a rival,” he said. And he worries that the new giant will fight off efforts by the FDA to limit what the agency calls an epidemic of teen vaping. “In the battle with the FDA, Juul is a novice. No one is as expert at manipulating the regulatory process and creating obstacles to public health as Altria is,” said Balto who fought tobacco mergers when he was at the FTC in the 1990s and later in private practice. There’s a windfall for Juul’s 1,500 employees in the deal. Altria has offered a $2 billion dividend to staff. That works out to $1.3 million a head.